Who is that guy? That’s the hardest hittin’ 145-er, Jeremy Stephens. 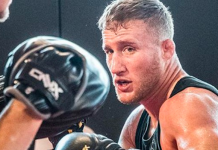 Fresh off his vicious finish of rising prospect Dooho Choi, Stephens is stepping into the Octagon with Josh Emmett this weekend, who is no stranger to throwing heat himself. He just took out perennial featherweight gatekeeper Ricardo Lamas in an outcome that shocked a lot of people. 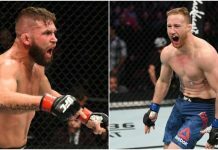 The fight at UFC Orlando between Stephens and Emmett will be about who can land that big shot first or whose chin can hold up for the long haul, but Stephens thinks Emmett just hasn’t put in enough time on the battle clock. “That’s the difference between me and these guys. I have the edge and the will to win that these guys just don’t understand. They can look at my rap sheet all they want but they don’t understand what’s in my mindset and my experience that I had fighting nothing but warriors at 155 and 145 [pounds]. This guy doesn’t have that. I’m willing to go in there and step up and take advantage and lay it all on the line. I’m a different breed. 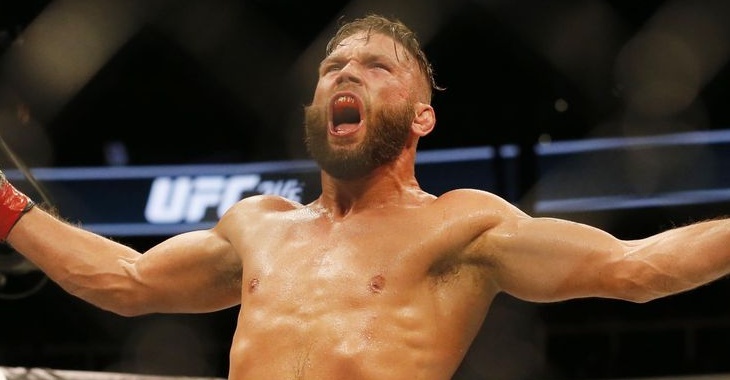 He’s going to find that out very soon when we get in there.” — Jeremy Stephens speaking to MMA Weekly. Just looking at the facts, Jeremy Stephens has been fighting in the UFC since 2007, while Emmett has only been fighting in MMA professionally as a whole since 2011. Stephens uses this and the idea that Emmett has spent more time prepping Team Alpha Male teammates for their bigger fights rather than fighting his own as a knock on the fighter. However, you could look at that both ways. 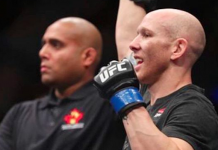 Don’t forget what happened the last time Josh Emmett was an underdog as well. We’ll find out who’s right on Saturday. This article first appeared on BJPenn.com on 2/22/2018.